Paul Shew, 89, of Mocksville, N.C., passed from this life Monday, June 26, 2017. He was born March 25, 1928, in Iredell County to the late Mancy and Nora Parker Shew. Paul was the husband of Margaret Ann Cartner Shew, a longtime member of The Society of John Gaither Descendants. 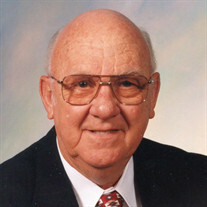 Mr. Shew was a graduate of Harmony High School, Class of 1947. He was drafted into Military Service in 1950, serving in the Company A 175th Military Police Battalion in Germany during the Korean Conflict. Mr. Shew attended Barber School in Winston-Salem and began his career at Cooleemee Barber Shop in 1958, and retired in 2009. He was a member of the Salem United Methodist Church where he served as Building Fund Treasurer. Mr. Shew was a charter member of the Davie Academy Ruritan Club, as well as a member of Cooleemee VFW Post 1119 and Woodmen Life Chapter 323. Those left to cherish his memory are his wife of 61 years, Margaret Ann Cartner Shew; three daughters, Paula Allen (Dean), Darlene Fuller (Phil) and Teresa Santis (Johnny); granddaughters, Jessica Allen (Nick Cash), Julie Holt (Jamey), Stephanie Shoffner (Jeremy), Courtney Allen (Michael Carney), Elizabeth and Rebekah Santis; grandson, Chad Fuller (Eleanor), great¬-grandchildren, Winn and Silas Fuller, Fuller Kate and Seger Holt, and Weston Shoffner; a brother, Glenn Shew (Dorothy) of Turnersburg; and several nieces and nephews. Interment was in the Salem United Methodist Church cemetery with military graveside rites. The family will receive friends from 7 to 9 p.m., Wednesday, June 28, at Eaton Funeral Home. In lieu of flowers, memorials may be considered for Salem UMC Building Fund, 1582 Davie Academy Road, Mocksville, NC 27028.